We've just bought USB Long Range UHF RFID reader (ISO18000-6C EPC G2) for our Raspberry Pi project. We would like to use your Reader Suite to work with it. Could you let us know how we can get it? Is there a trial version? Are you selling it? What is the price? 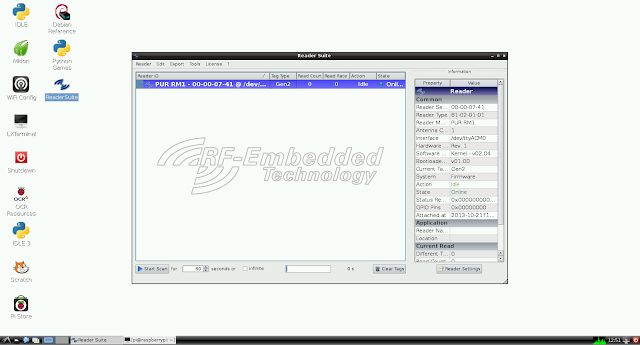 the Reader Suite only works with RF-Embedded products. Form which manufacturer did you buy the reader? 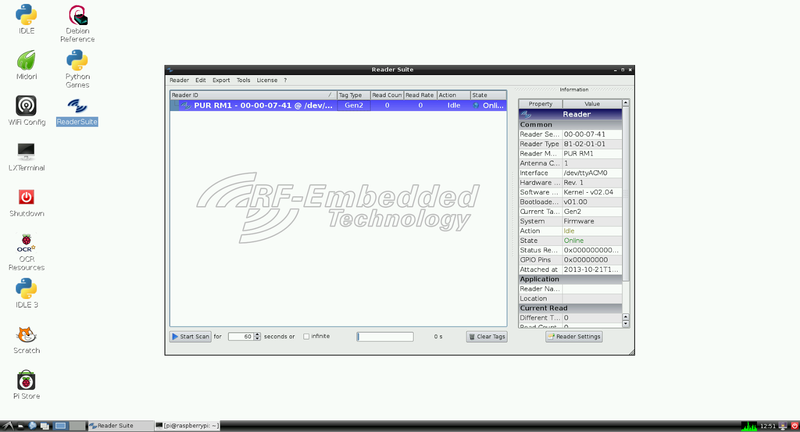 To get more information and access to the download server, just write us an email to info at rf-embedded.eu.